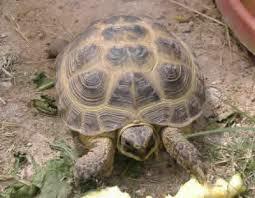 Firstly -The cost of the tortoise from me is inclusive of ongoing support for as long as you need it. Unlike a pet shop I really do provide an unlimited "after sales" service. Secondly - A lot of care and love has been invested in these babies and I am selective and careful that they only go to good homes where they will be loved and cared for in the best possible way possible. 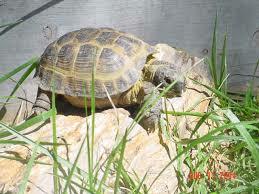 Please see the page called "The Big Move Down South" for an idea of how I look after my tortoises! Please do not expect to NEGOTIATE on the price or ask if I have any CHEAPER ones. These are live animals, it is NOT a CAR BOOT SALE and if you cant afford the competitive price I quote then I would suggest you can not afford the ongoing costs of the set up, vet bills and care. If you want a CHEAP pet, please buy a goldfish not an exotic reptile! I will not post a living animal and if you consider this acceptable practice, then I would kindly ask that you seek to purchase your tortoise elsewhere. I can deliver locally, with a conmtribution to the cost of fuel. Upon delivery, I will also check your set up, advise where needed and talk you through everything, leaving you confident and happy to take over the care of your baby. Upon collection/delivery you will receive a perfectly healthy and happy baby that is parasite and disease free. You will receive the Article 10 licence or copy of depending on size of tortoise at sale(not applicable for Horsfields). See "tortoises and the law" page for further details. I only accept cash on delivery please,no cheques. The money I receive goes towards the rescue work I do, the huge electric bills in heating my tortoise houses (some all winter, as in my Leopards) and the astronomical vet bills I have to pay, so actually I make very little from the sale. I pride myself on quality, healthy captive babies and not selling a huge quantity as farmers & pet shops do. So sadly if you can only afford a "cheap" tortoise then I fear you can not properly afford the ongoing care costs, so would advise you not to have a tortoise. Please feel free to make contact now for more information.